This township was once a barely populated farming community, and now is a major suburb of the Phoenix metro area. There is a satellite facility for the Phoenix Childrens Hospital here, and it now feels much more modern than it did just two decades ago. We want to provide the best service for you to locate a 24 hour dentist Avondale AZ , so you don’t have to spend your stay here worrying about a cracked tooth or other throbbing pain. We have compiled a large network of dentists that provide Saturday and Sunday service across the nation, and Avondale is part of that network! 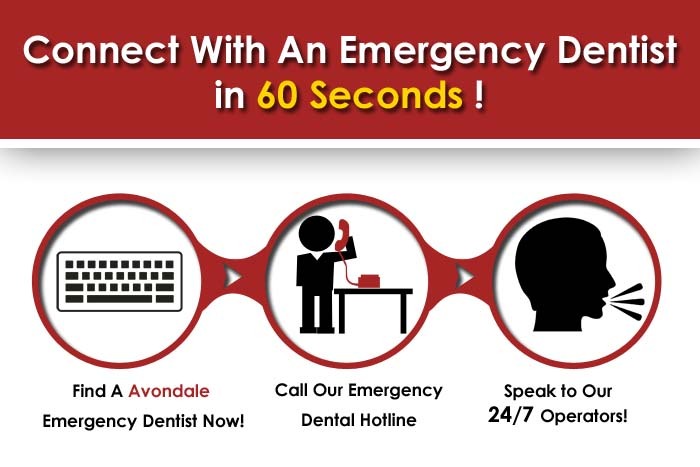 If you are unable to reach any of these dentists right away, we provide a 24 hour a day, 7 day a week hotline for you to reach a Avondale emergency dentist , if you are balled up under the covers with tooth pain instead of outside enjoying the warm Arizona sun. These dentists have been vetted by Emergency Dentists USA, and will be there for you if you encounter late night or weekend dental pain. Besides giving you a warm refuge for the winter, there are a number of things to do in Avondale, like the Phoenix Raceway, Friendship Park, and top notch eating spots like Pieology Pizzeria. If you cannot reach any of the dentists here immediately, feel free to dial our 24 hour hotline, that can link you up if you know that the dull ache in your jaw is not going to go away any time soon. You may have not known that you were going to need an urgent care dentist on your trip, but when you need one you will not have time to look at listing after listing. For more 24 hour dentists in Phoenix, Arizona. Click here. Description: A favorite place for those who want to escape cold weather, we know that Avondale is not going to be as relaxing as you had planned if you are plagued by sudden and extreme tooth pain. This referral service can quickly provide for you an answer and end to the pain that is keeping you down. When serious pain really sets in and bears down on you, it is not going to be the time that you want to spend slowly looking over after hours dentist listings to see if one will let you in. Description:Listed as an Avondale dentist that is open on Saturday, Thihan can provide a quick end to your late night suffering or pertinent need for an extraction. Originally from San Diego, she received her bachelor’s at the University of California, then obtained her doctorate at Creighton University School of Dentistry. She belongs to the Academy of General Dentistry, The International Congress Of Oral Implantologists, and the Academy of GP Orthodontics. Description:This Avondale area dentist is open on Saturday, so you can breathe a bit easier if something nasty happens to you or your family while living here or on vacation. Born in Minneapolis, Dr Clausen graduated from the University of Minnesota School of Dentistry, and has been in business here for over 20 years. He has taken study hours under some of the nation’s best instructors, and loves to golf, boat, and ski in his time away from the office. Description:Known in the area for being incredibly honest and very passionate about what he does, Robert is a first rate choice for an after hours dental clinic. Raised in Burley, Idaho, he knows the toil of ranching and farming well, and it gave him a solid foundation to be a hard worker. He graduated from Brigham Young University in Provo, UT, and both of his brothers are dentists. He still gets relaxation from time on the tractor and with horses, and is very well respected throughout the community. Avondale is a city that has a long history of loving fast cars, and trips to the raceway on Saturday nights. 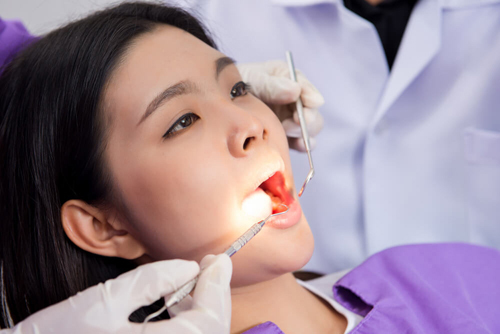 When you are spending your vacation in this beautiful Arizona city, use our handy service to locate an emergency dentist in Avondale AZ , and you’ll be sitting in the chair for relief from the ebbing pain soon. If you want to check the standing of any of these dentists before you schedule an appointment, you can visit The Arizona Dental Association . Find emergency dentists in Surprise, Arizona.